Chef Austin Henry, winner of Food Network's “Chef Wanted," taking a dip in Lake Louise Alberta, Canada. 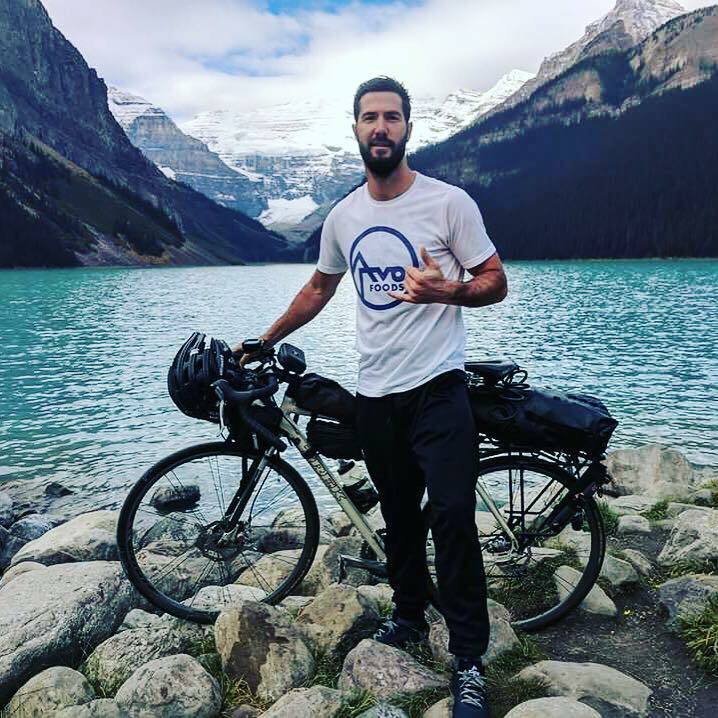 He’s been making his way around the world on his bike and showing Avoh Foods a lot of love. Chef Austin Henry bikes through Alberta, Canada.